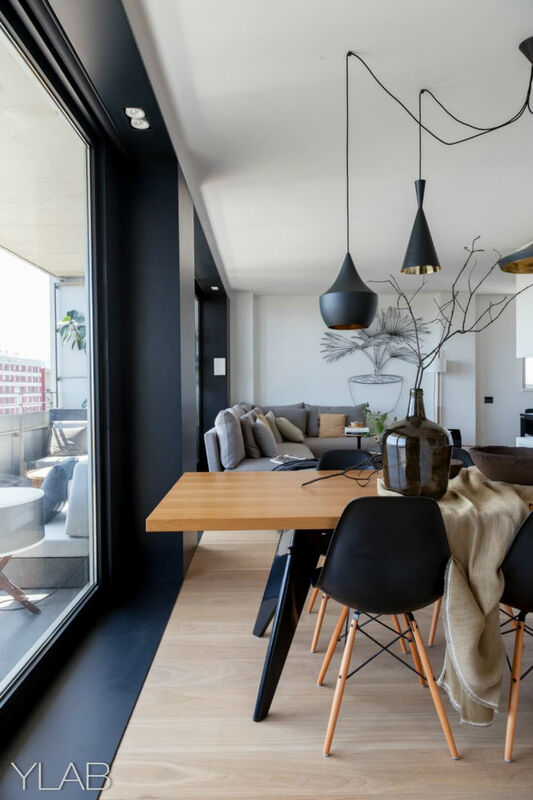 Private home in the Diagonal Mar district in Barcelona by YLAB. With the participation of prestigious international design brands, the interior design showcases their most prominent products. The renovation has sought for the redistribution of the existing space, giving priority to the common spaces and directing them towards the terrace, with views of Barcelona and the see. This way, the terrace and the longitudinal window that connect the home with its environment become the central elements in the project. The common areas, formed by the kitchen, the dining and the living room, are aligned with the studio along the large window. This allows for the maximum use of light and exterior views. 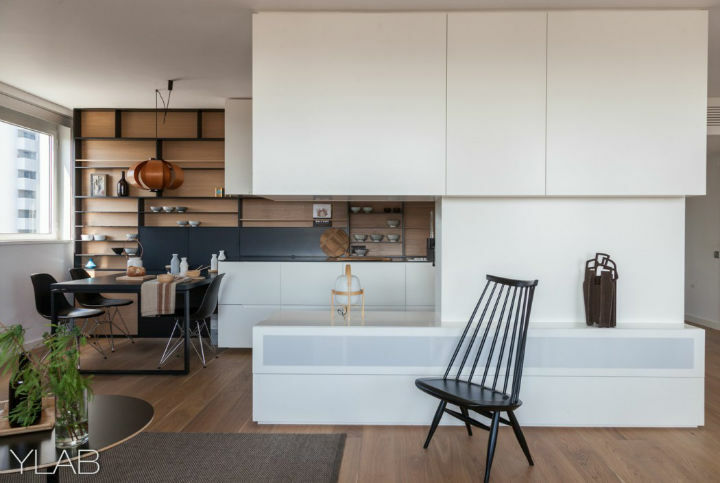 At the same time, the private spaces flow into the interior, while the corridors are enclosed into two perpendicular axes that run the apartment from one end to the other. 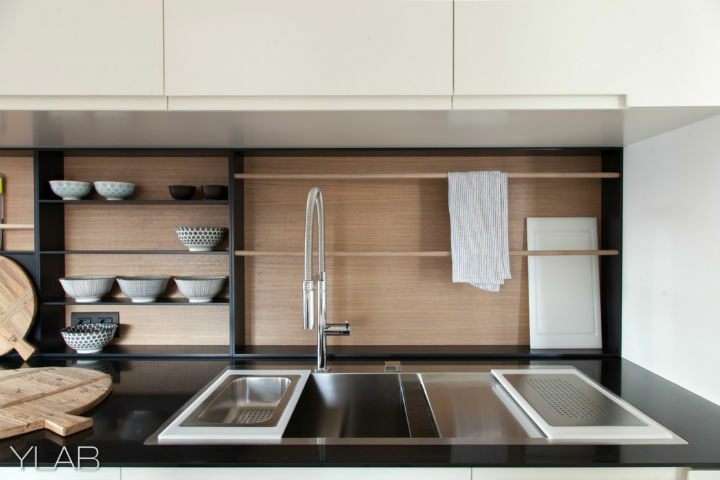 The materials and finishings create a contrast between the ivory white base color of the cabinets or the walls, the oak wood finish of the parquet pavement or wall claddings, and the graphite color on elements such as the large window or the kitchen shelves. 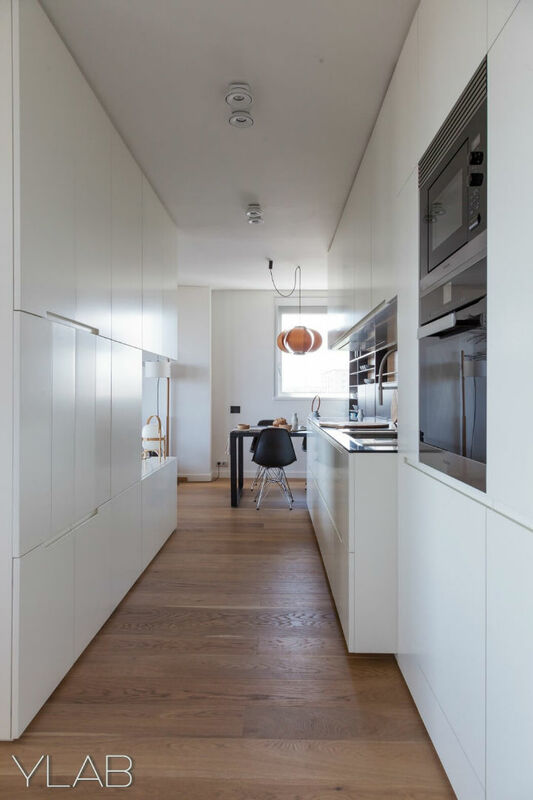 The custom-made cabinetry of the kitchen comes from the white wall cladding of the hallway that turns and transforms into the columns and an open workspace. 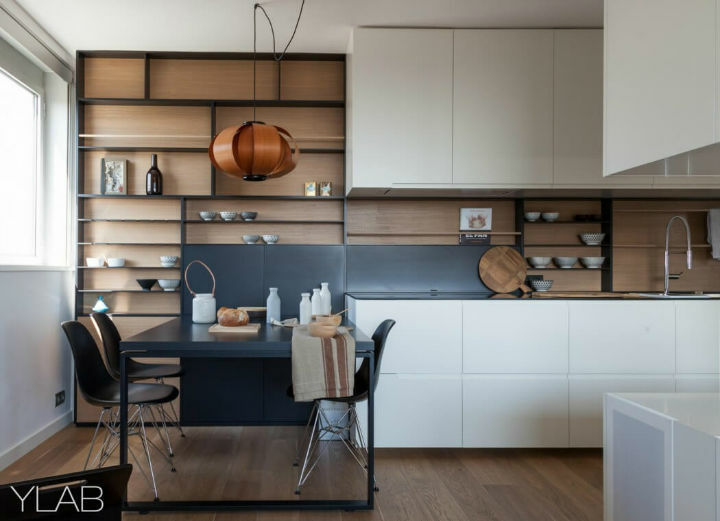 The oak backsplash and graphite colored shelves help the kitchen unite with the living room in a zone wher both communicate. 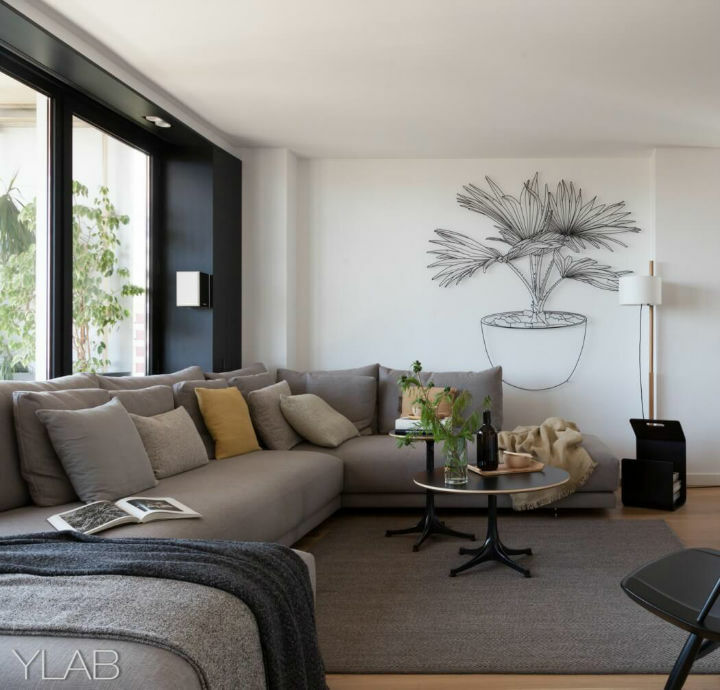 A sliding door connects the living room with the studio, preserving the predominance of the large exterior window. 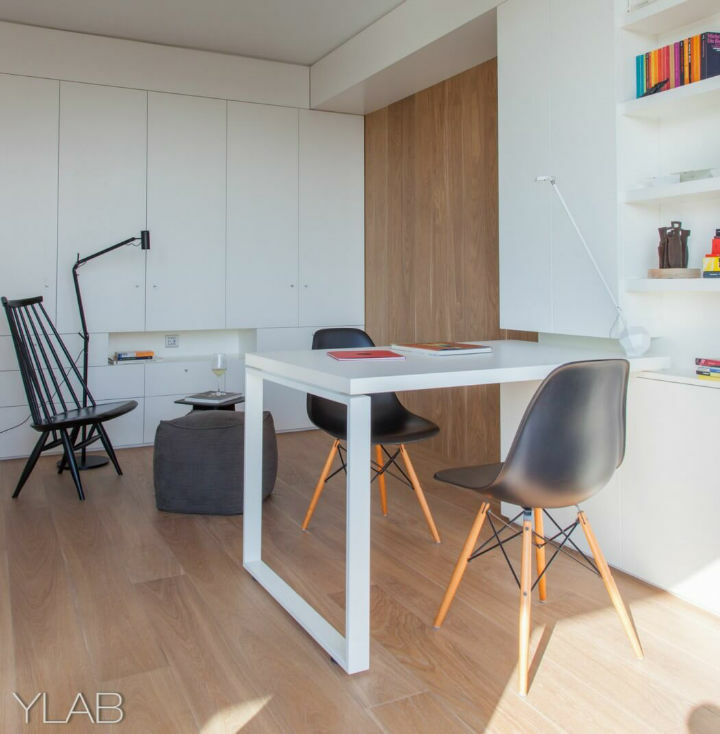 The custom-made furniture, including desk and shelves, is all finished in white lacquer. The MDM lounge chair, the Marset Polo floor lamp and the poufs by Materia shop form a reading corner. Two photos by Ciro Frank Schiappa hang on the wall. 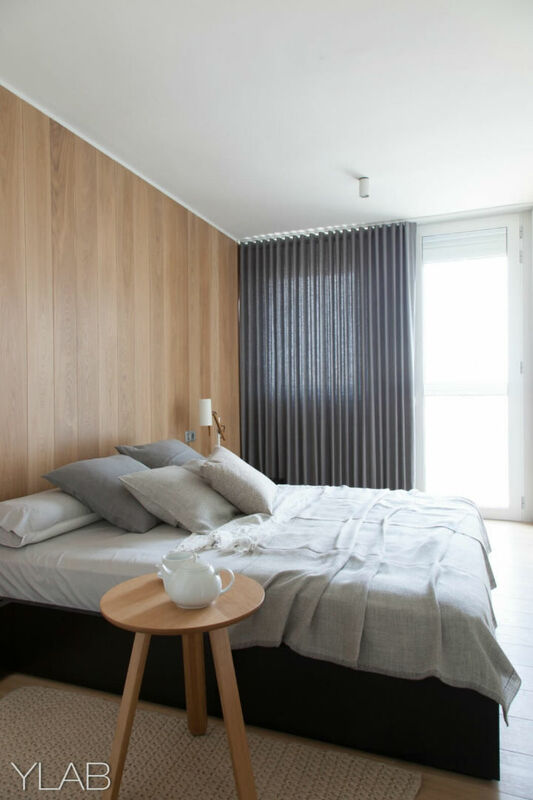 At the living room and the studio, the existent windows are covered by a large graphite frame that connects the windows and frames the exterior view. This element additionally hides the indirect lighting, composed of a LED band and Deltalight lights, and the graphite roller blinds by Acor. 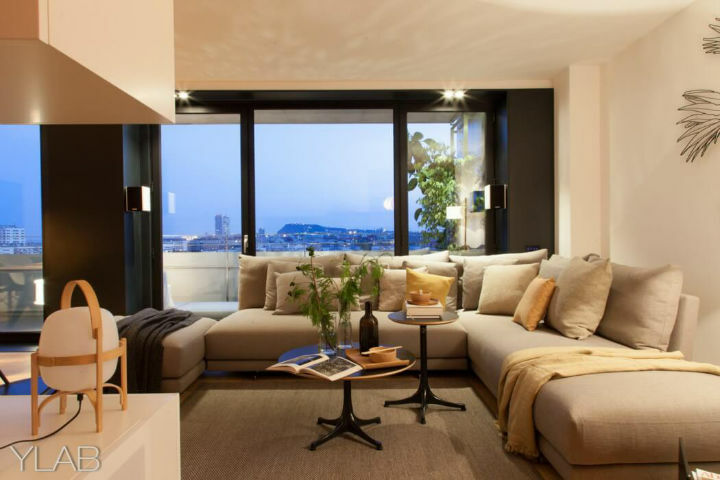 The living room is furnished with a light sofá by Casadesus, a Santa i Cole lamp and the two Nelson coffee tables by Vitra over a rug by Matèria shop. 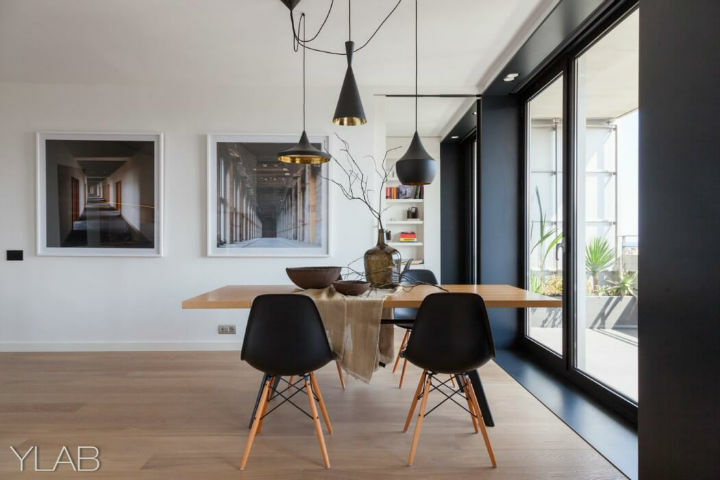 The living room area completes the space with the Vitra EM table and chairs and the Beat suspended lamps. 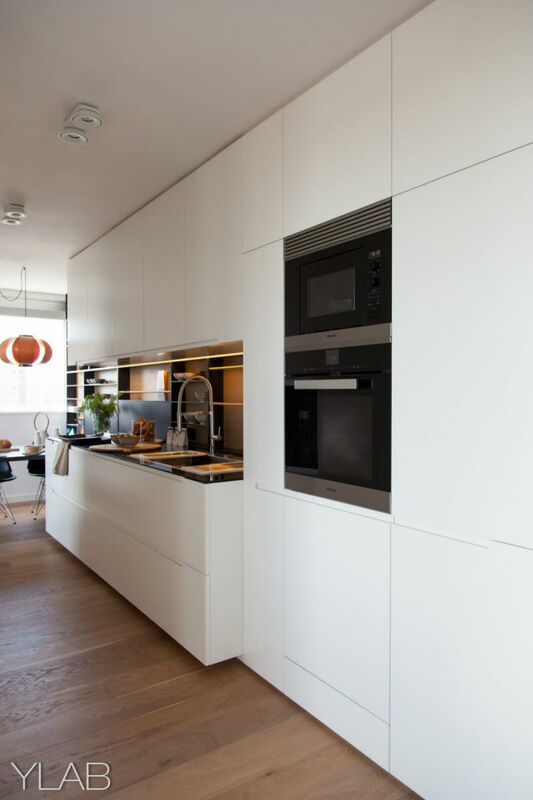 The living room is separated from the kitchen by a central white cabinet that hides the sound system and the loud speakers by white acoustic fabric doors. The work of arts decorating this space are by artists Frank Plant, Pol Viladoms and Iñigo Arregi of the Barcelona art gallery Victor Lope.